One of my all-time fave movies, with some of my all-time fave music! I’ve wanted to arrange some of the music from the film since like.. FOREVER. I recently sat down and actually tried to do something with it at last, aided by the actual sheet music! …as requested by the ever awesome just for existing RETROGAMER magazine! 1 – The Last Ninja. Or should that be Last Ninjai? Ninjas? 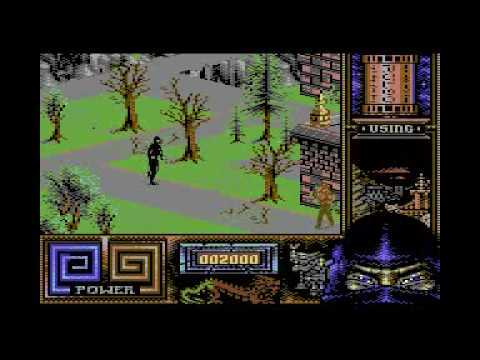 Anyho0 – the trilogy of games that showed off what the C64 was capable of both in terms of scale, art and especially music! Yes I know, you’re thinking this is going to read like my top 10 music list, and whilst there is a mutual association between the nostalgia, the music, and the game… Green Beret stands proud as a pretty arcade-perfect conversion of the original game.. certainly at least as hard! A game that genuinely had me jumping in my seat back in the day, that infernal toothy wyrm of doom thing coming up and turning you into a fountain of blood. Genuinely creepy, cinematic music, and whilst not perhaps the best define graphics, they certainly make up for it in variety, and scale. Cheating a bit with the two entries, especially as both are quite different. 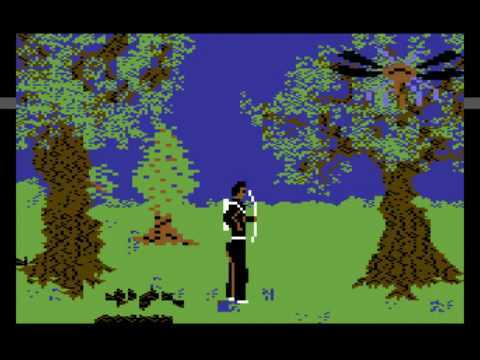 But both games are absolutely stunning and have demonstrate the C64 at the peak of its achievements in graphics capability and gameplay dynamics. Some of the cutest music and characters EVAR. 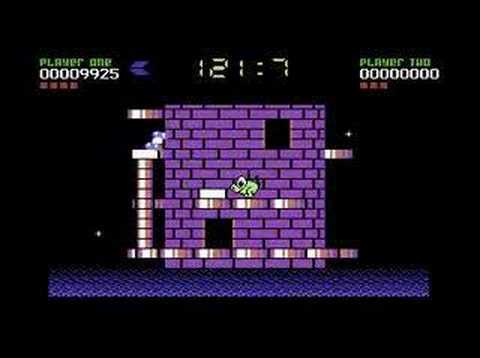 A guilty pleasure of mine motivated a bit by nostalgia as it was one of the first C64 games I played. Simple in design, addictive to play. Unique design concept. Beautiful graphics. Yes. Seminal slash-em up. 2-player heaven. Single player.. well.. it was the 2-player game but with a tacked on story idea. Lots of gory fun, with a very clever graphics implementation. The ambitious sequel whilst amazing in its appearance, art design and scale, disappointed – at least the tape-version anyway. 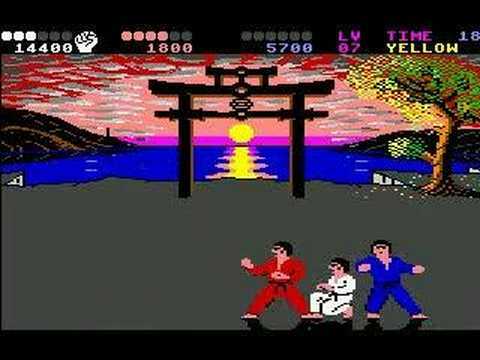 The *other* Fighting game of note.. not International Karate, but its perfected sequel IK+. 2 player + 1 player AI fighting. Crazy flying ball+dustbin lid combat. Trousers falling down. Fantastic cacophonous sound effects and music. Beautiful animated backdrop. I’ve started on a cover of the fantastic “You’ll never be better than Commander Shepard” Mass Effect inspired fan-song, my intention is to do a FemShep version, in a slightly different style. In order to do this tho, I needed to reverse engineer the original song, and rebuild it using my own sequencing+instruments. My plan is to do a slower tempo version with a more… languorous rhythm – but in order to get the feel of things I had to re-create the original tune in my sequencer & instruments..
You'll never be better than Commander Shepard, who is male, but only for the moment! 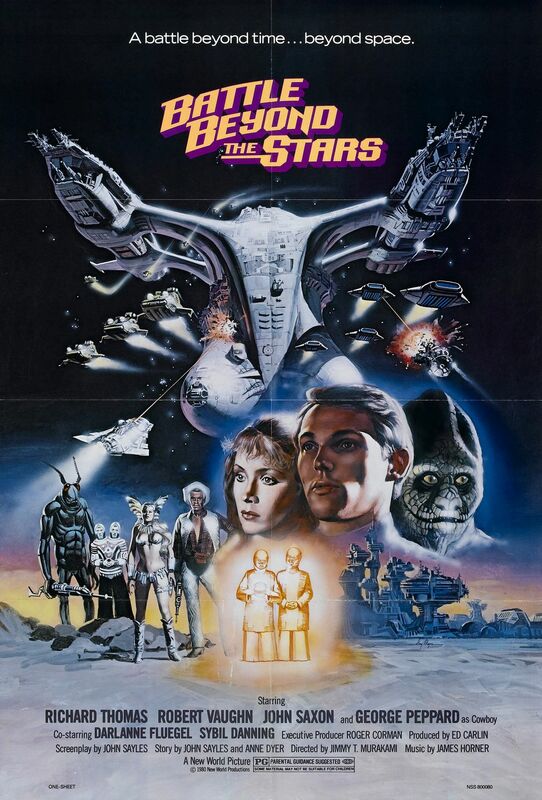 Watched classic old 80′s space movie Battle Beyond the Stars last night, really enjoyed it – I remember being quite scared by it in the cinema back in the day! 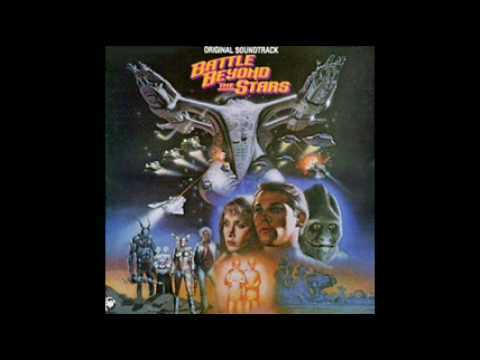 Music is notable also, as it was an early James Horner (Aliens, Avatar, Braveheart) – and sounds like he was auditioning to replace Jerry Goldsmith for the next Star Trek movie… which he DID lol. 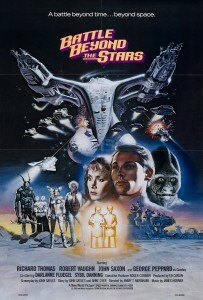 At times the soundtrack mimics the awesome first Star Trek film score, almost note for note But it just adds to the nostalgia. I recently realized that I must be officially “old”. Why? Because here I was, dismissively passing judgement on all the “youth of today” with their abysmal fandom and taste in movies with regards the Twilight films. Its like – seriously.. what the hell? what a load of poo, sparkly vampires, undersaturated colourization, teen pop rebel tunes… get a grip! Then I remembered being 12/13.. and being obsessed with a certain film in the cinema – so much so that I think I went to see it five times, learning the songs, memorizing the script… at one point even contemplating stashing a tape-recorder into the cinema with me so I could record the soundtrack – certainly a very early example of movie piracy that would have been lol. David Bowie hadnt been on my radar at all up until that point, aside perhaps from being mildly keen on ” Ashes to Ashes ” after seeing the video on an episode of the Kenny Everett show ! However… suddenly here was this beautiful man dancing with muppets, and singing songs that really “got me” lol. Fortunately, I was besotted with the game.. at least at first, its delivery mechanism would ultimately be its downfall for me! 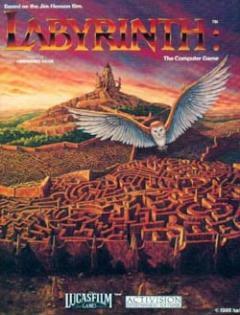 Labyrinth as a game is quite groundbreaking. 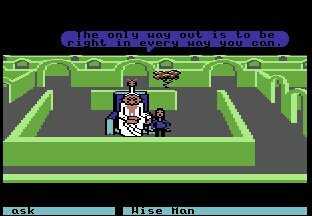 It is really the first of what would become the defining genre of game for LucasFilm (or LucasArts as they would later call themselves) – a genre that was tweaked and improved a year later for the likes of Maniac Mansion . 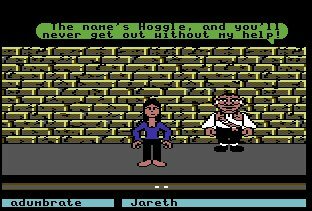 Essentially a point’n'click adventure featuring big bold colourful graphics, and very varied scenes of the like that hadnt really been seen on the C64 (or anywhere!) before. The game was notable also for having somewhat odd diversionary introduction. It played out much like a then standard text adventure, but with selectable choices of verb and noun through an interface. 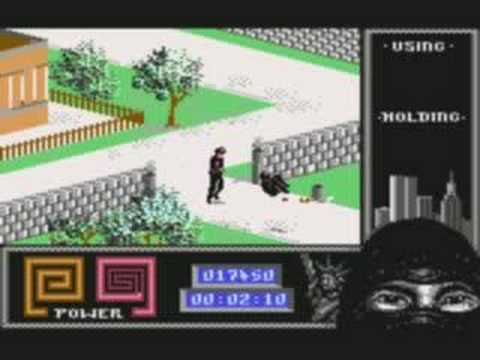 This saw you navigating your way through a street to a cinema, choosing a film to see. 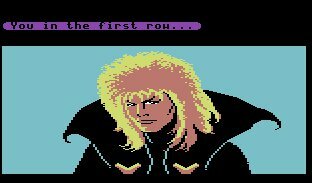 Eventually Jareth – Bowies character would appear in a lovely full-screen graphic, talking to you via text bubbles, before whisking you away to the world of the Labyrinth. The character animation is pretty good, and the scrolling also smoothly done. 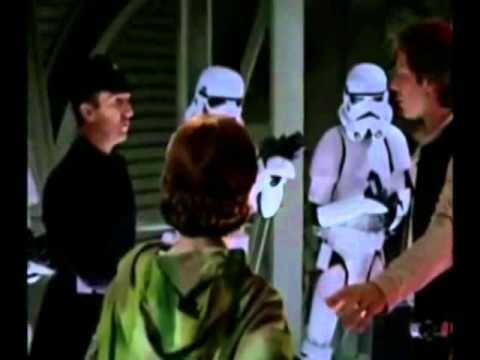 Here knowledge of the film does you well with regards figuring out how to proceed into the game. At this point I need to tell you that I had to be very very patient with the game. 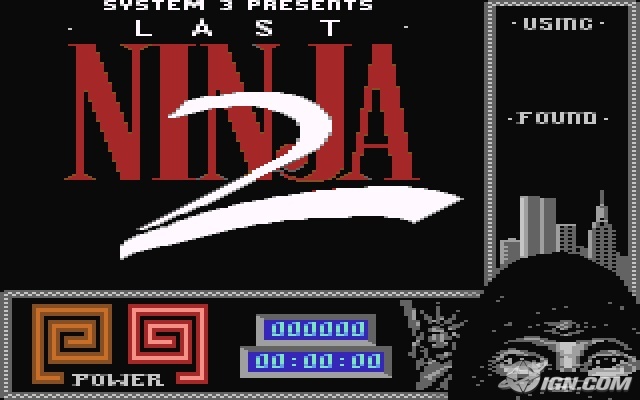 Playing it from disk has enough delays as it is – but I was playing it from tape back in the day, and the multiload was a nightmare, as you might expect from a game with such big graphic use. In particular the fact that the next scene starts immediately after load without warning, leaving you enough time to see that you’re in a new place, and a goblin guard who immediately moves to capture you. If he does, its into the oubliette with you! Inserting a nickle into the handy slot provides you an escape back into the labyrinth, and onwards – this can happen a lot! Now here’s the tragedy of the tale. Not only did I have to endure the abysmal loadtimes of tape, but I alas encountered a flaw only a couple of weeks into play. 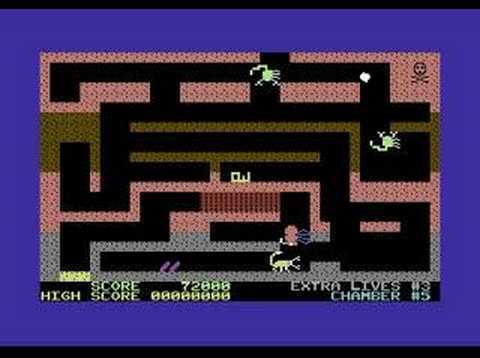 Not long after progressing past hoggle, the brick hallway, the hedgemaze, the wise man, and the bog of eternal stench – I ran into “The persecution of Hoggle” – a section where you have to pac-man style run around a pseudo-3D maze, toggling floor panels in order to free Ludo, whilst avoiding the goblins – this section only ever loaded once for me EVER. A problem with the tape, or possibly the heads of my C64 datasette (this was before I knew anything about head alignment) prevented it from loading in future. Exasperated I got Dad to take it back to the shop for another copy. Alas, they didnt have another copy, but allowed it to be swapped for another AAA class title. Dad, not knowing what to do, accepted this option – what else could he do? – and selected another game. However, I always wished to have Labyrinth back again so that I could finish it.. but ofcourse I never did, and whilst my Labyrinth fandom would continue for many years afterwards – eg the delight I had at finding the CD soundtrack in HMV’s Oxford St. store in London when I worked there in 1994!) – I would forget about the game until fairly recently when I popped the disk image into an emulator. Curiously, I found the game still tediously slow in the loading dept (about 1 minute between sections – bearing in mind it can quickly(?) bounce between them) – but this was eased in Vice64 by a CTRL+W to engage 2000% warp speed emulation! Despite this I found the game could be frustrating, especially the goblin-avoiding sections, where you would have to emerge from corridor doors sufficiently ahead of them and start running lest you get bunged into an oubliette! My attention span is not what it was, and I got as far as the Ludo section again, in a kind of triumph… but havent yet gone back to progress further.. I hope to tho, its like one of those things I must do before I’m 40 ! The graphics come at the cost of heavy multiload sections tho. 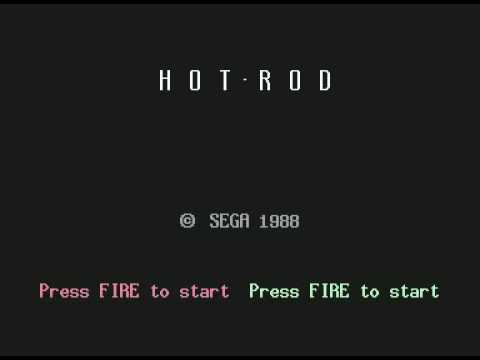 This game was really unworkable on tape, at least in its basic design. 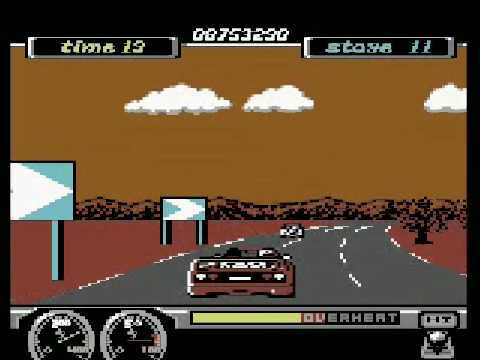 The game has a non-linear nature about it that cannot really work well on a tape load. The game was designed for disk in the first instance, and is best played there. Its a shame that C64 disk drives were so prohibitively expensive in those early days (especially in the UK) – had they been provided by default or cheaper it could have accelerated and changed a lot about how the C64 developed as a commercial gaming platform. Disk plays well enough, though even then the load is slow. Even better would have been a cartridge version of the game! 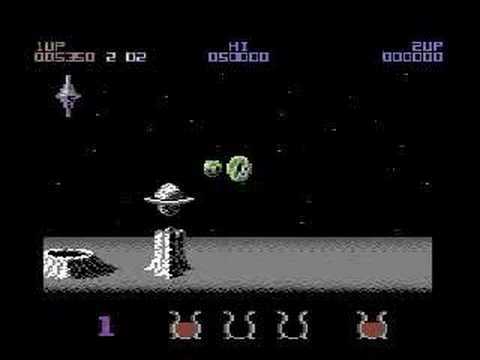 Russell Lieblich would compose much more interesting music in other projects (ALIENS dropship level for example) but retain a simplicity of instrument/synthesis that was highly prevalent in a lot of the U.S developed games for some reason. …and yes… I *did* want to be Jennifer Connelly in that ball gown, dancing with Jareth! Now, to cheat a bit – Reyn Ouwehand also did a completely amazing set of music for the 3rd game in the series with his own unique style, but closer in mood to the first game’s ambience. Level 2 (“Wind”) is probably my favourite. You have no idea how annoyed I get when I hear people talking about the “birth of 8-bit music becoming popular” in reference to Nintendo’s incarnation of the game. First of all… It WASNT, you f***s, and secondly there is only ONE Tetris soundtrack.. and that is Wally Beben’s C64 18+ minutes opus for the 1988 game. A very odd piece, feels like a kind of post-modern futureretro Native American chant, with a mystical, ethereal quality, yet underpinned with a grungy dirty sound that defies proper description. 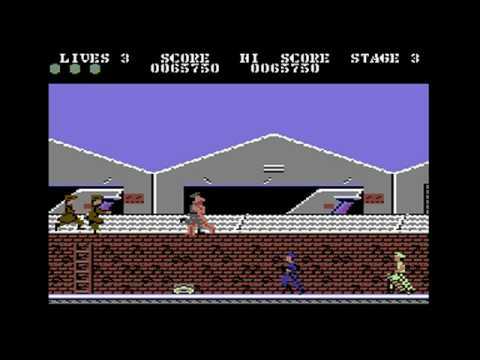 C64 Tetris was my first encounter with the game, and as such it remains my favorite, but mainly because playing the game was an almost Zen-like trance experience because of the music. It was a magnificent artistic choice on the behalf of the programmers of the game to have music at all in the game, since by the game’s nature it could end up being repetitively annoying . To combat this Wally Beben made a score epic in length. I had in mind it was about 10 mins long, but its in fact closer to 20, and has distinctive tonal, ryhthmic and melodic changes throughout its length. Well – not a tune popular with remixers as such judging by how few have attempted , but then the piece is a huge commitment – it wouldnt work just to remix a part of it. My fave of the bunch tho is Kraku’s stab at the piece – he’s covered the first half of it (stops just before my fave bit ) and has done so pretty respectively, but not definitely in my opinion – no one has yet. I might have a go yet myself.. but my wee brain has a hard time trying to imagine what instruments would do justice to those big sounds. Only one I can find – the late and wonderful Skitz did a fairly low-key arrangement , but it hits all the right spots with its authenticity – the choice of piano lead later on in it is magnificent. No, really! Its a bit out-there I know, but in terms of tuneful quality its a beautifully constructed piece of music. 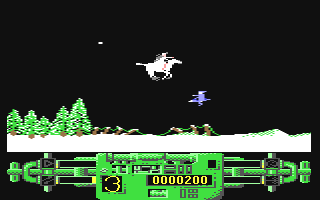 I remember buying the game (it was a £1.99 job back in the day) – an odd Nemesis clone featuring a dude on a flying horse if I remember correctly. I seem to remember the horse being superbly animated. But it was the music that won me over instantly. Both the title theme and in-game piece were very good, but it was the title in particular that has stuck in my head all this time. 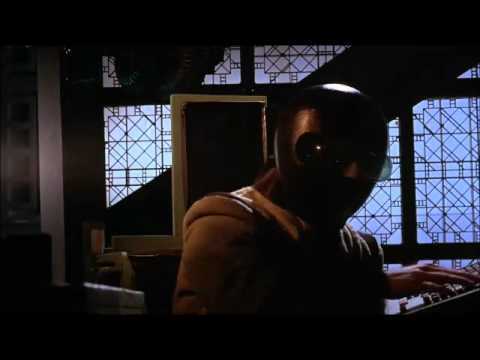 Dr Future did one tho – and its pretty good (aside from HORROR THE HORROR! – an incorrect chord in the main section, should be a minor, not a major) and I’m grateful for the remix, but I’d love a more authentic take on it. Oh god oh god I’m up to my 10th tune on this stupidly small number of faves… hmmm… what shall it be…. 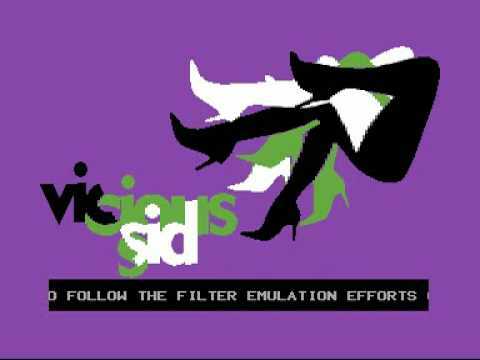 A contemporary (2006) C64 tune ! 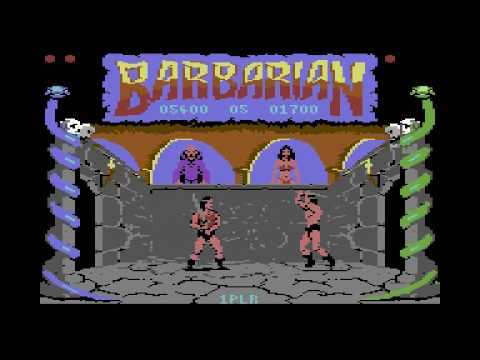 Some of the things these heroes of the retro revolution are pulling from the olde C64 are just amazing. 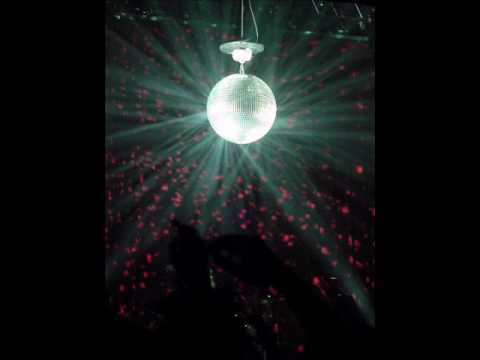 This is one of a few tunes that had me agog when I first heard them, completely nonplussed as to how they could do this. …. 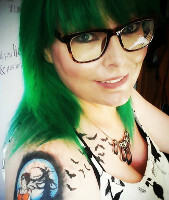 Yes.. I’ve ommitted Wizball, Phantoms of the Asteroid, Monty, Platoon, Batman, et all.. but 10 tunes! and to make them a mix of the obvious and not so obvious… HARD!